“2010 Barossa Shiraz is a no brainer, such a wonderful year. Peter Jorgenson makes a habit of producing very soft silky mouth filling flavoured wines and the Barossa does that really well. So, it’s got quite a savoury edge to it, there’s leather, black liquorice, soya, vegemitey type aromas, blackberry jam and coconut character as well as appealing oak. This is a fresh black pepper edged plum and blackberry flavoured wine with enough tannin to be worth aging, it’s got some real firmness on the finish. So we have a full bodied, velvety soft, firm finishing dry style with beautiful fruit, that silky Barossa with a generous round warm friendly appeal. You won’t be disappointed if you’re looking for that everyday drinking style of big Barossa Shiraz. The colour is opaque purplish black with dark crimson hues and long glycerol legs clinging to the side of the glass. The perfume is highly concentrated but refined and long. Blackberry and plum fruit combine with sweet vanillin oak, coconut and dried herbs with a rich estery lift of heady alcohol and peppery spice. The opening palate is full of luscious ripe berries and builds slowly to reveal complex smoked meats, leather and rich dark chocolate. The tannin structure is firm and gripping with heightened acid lift filling the mid palate and carrying the oak and sumptuous brandy soaked fruits to the back palate. In 3 – 5 years this Shiraz will mellow and blossom into a truely elegant and sophisticated statement of Barossa character fitting of a grand banquet. In the short term its flavours are bold and dominating and are best enjoyed with a gourmet platter of rustic country delicacies … chunky slices of spicy mettwurst, pickled gherkins, tasty vintage cheddar and crusty bread. This is a very powerful wine and whilst still showing some of the rugged characteristics of youth, it clearly has a sophisticated pedigree and will develop beautifully with age. It needs plenty of breathing after opening and would benefit from decanting. The screw cap closure will prevent any risk of cork taint but it will need cool dark conditions for extended cellaring. It’s a wine that will comfortably survive till the next generation. 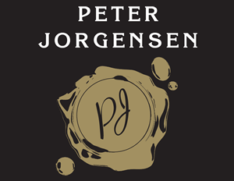 The “Reserve” label is kept for premium parcels of outstanding wine identified by Peter Jorgensen for their rich fruit intensity, complex flavours and structure combined with their long term aging ability. At the core of all “Reserve” wines is premium vineyard management and minimal intervention winemaking. The resulting wines are limited quantity batches of natural wines with minimal filtration or additives. They are wines that take time to evolve and allow all elements to become integrated. The aging process will continue in bottle and this Shiraz will develop a light crust over time. Please allow this wine at least to breathe 60 minutes prior to consuming.